The Jetsons promised us that all food would be in pill-form by now. Lies! Oh well, at least we can 3D-print pizza. Whirlpool’s vision for the kitchen of tomorrow is a fully interactive, internet-connected space that knows what’s in your fridge and suggests recipes accordingly. Need help with a step? Call your mom with the integrated video feature so she can walk you through the process. Put your pot down on any surface, and it will detect the item and start heating it up. While you wait, touch any other surface on the counter or cabinets and you’ll be able to browse the web or update Facebook. Sounds pretty great, right? Unfortunately this is all still in the conceptual stage, but the appliance giant is working on developing a cooking surface that uses induction to heat pots and pans so that the system can be integrated with touchscreen technology. Stay tuned. 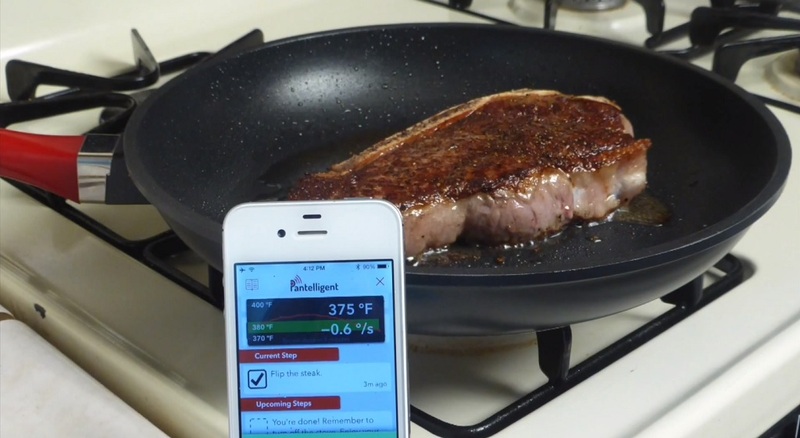 Pantelligent is a smart frying pan with a temperature sensor in the handle that talks to your mobile device via Bluetooth and lets you know when your food is ready to eat. 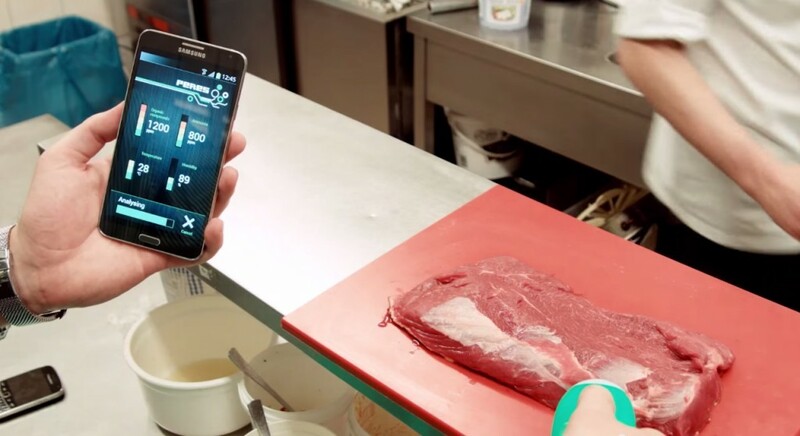 Like a GPS system for amateur chefs, simply pull up a recipe on the accompanying app and then your smartphone, tablet or smartwatch will take you through the cooking process step-by-step, telling you if the pan is too hot or too cold, whether you need to add oil, adjust the temperature, flip the food or serve dinner. 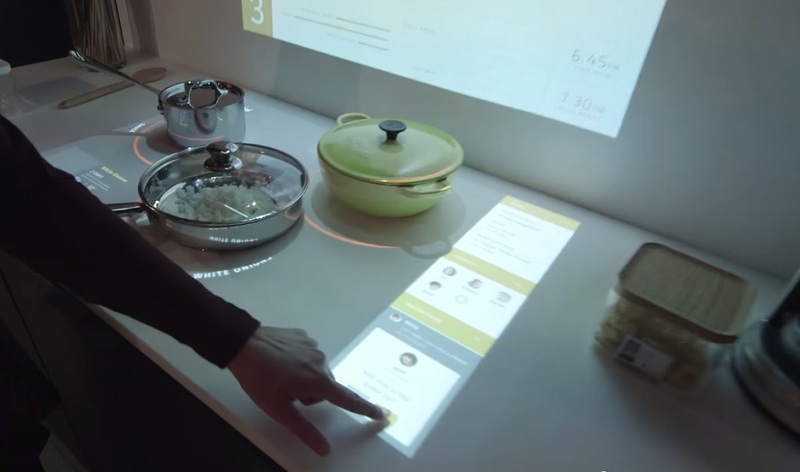 A futuristic kitchen appliance for your 3D-printed apartment. 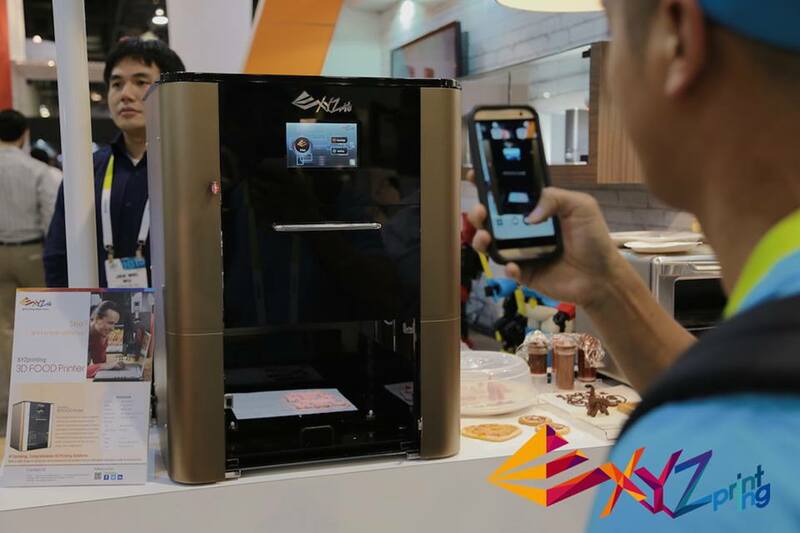 XYZprinting’s 3D food printer is like a regular 3D printer, but instead of turning plastics into objects, it turns ingredients into food. Unfortunately the technology is not yet advance enough to take care of a Thanksgiving dinner with all the fixings, but it can whip up a batch of cookie dough or prepare a pizza (which you still have to pop into the oven). When it hits the market later this year, the 3D food printer will be priced somewhere below $2,000. Don’t trust your own nose to administer the smell test? The FOODsniffer is an electronic gadget that can detect whether food has expired by ‘smelling it.’ Simply point the device to any suspect item and its special sensors will test for temperature, humidity, ammonia and any dangerous organic compounds before sending the results to your phone. Another innovation in the world of food safety, the Egg Minder is a 12-egg holder equipped with LED lights which will illuminate next to the oldest egg, telling you which one to use next. 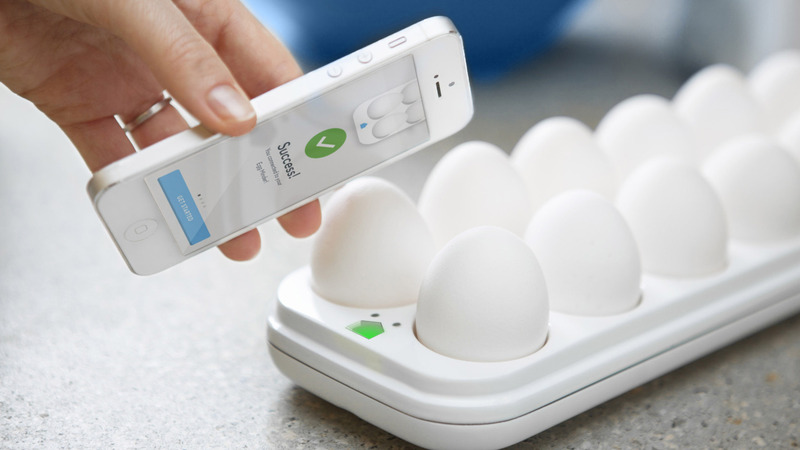 Weight sensors embedded into the tray will also send you a reminder on your phone when you’re running low on eggs. When you’ve had too many drinks to pour yourself another, Somabar will mix you up the perfect craft cocktail in just five seconds. All you have to do is fill the compartments with your favorite ingredients beforehand and place an order from one of 300 recipes on your Somabar smartphone app. 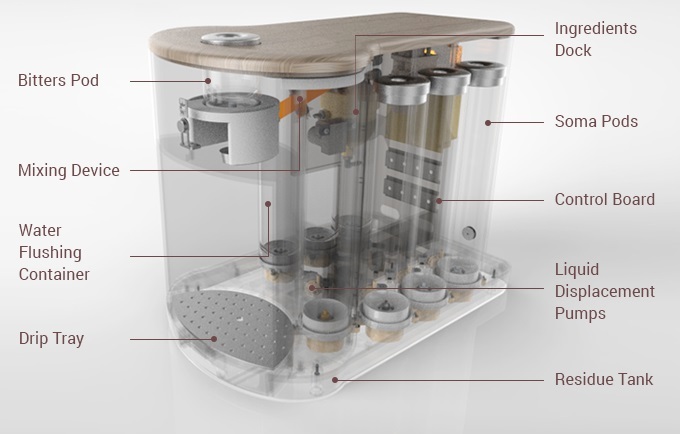 The countertop cocktail machine costs $500. 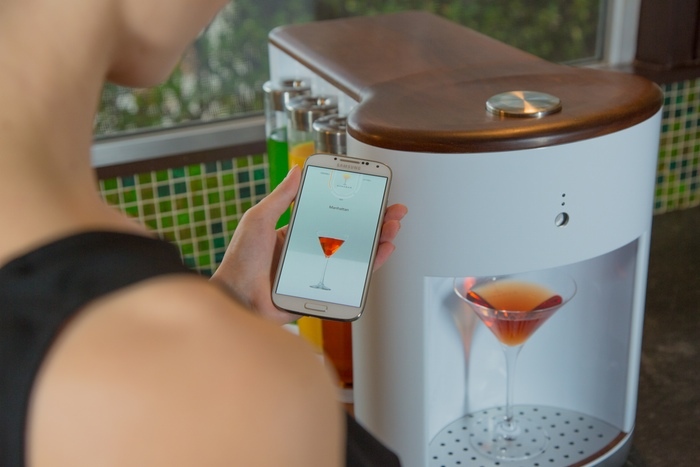 Like Somabar, the Smarter Coffee Machine is a Wi-Fi enabled device that lets you place a drink order remotely from your phone. With one command, the machine will grind and brew the beans. You can make up to 12 cups at once and there’s even a function on the app that lets you send and receive drink requests from other users. When it becomes available later this year, the Smarter Coffee machine will cost about $200. 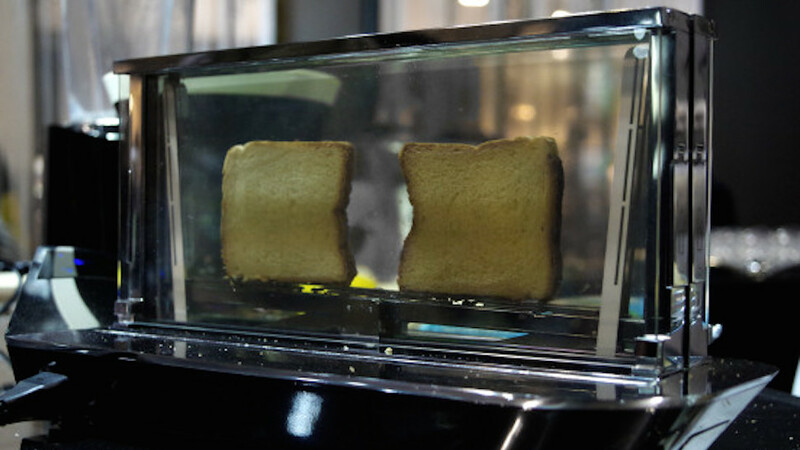 Never be surprised by burnt toast again with the Bugatti Noun, a glass toaster that keeps no secrets. Instead of traditional heating elements, the Italian-made machine uses semiconductors embedded in glass for perfectly browned toast. The electronic controls, which can be operated using a smartphone app, let you to control the precise temperature of the cooking environment, allowing you to prepare other foods that aren’t toast. 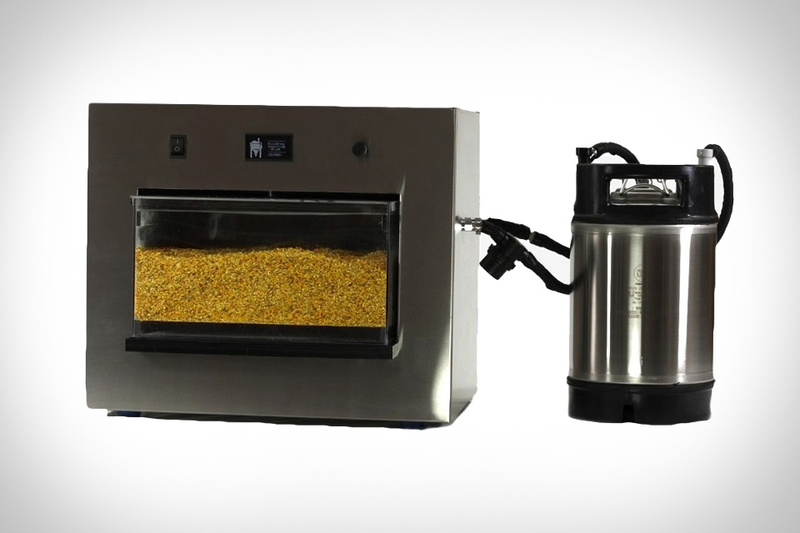 The PicoBrew Zymatic makes home brewing so easy you can whip up a second batch of beer after consuming the first. Billed as an “an espresso maker for beer,” all you need to do is load the containers with malted barley and hops, pour water into the keg and select a recipe. In a few hours you’ll have unfermented beer. After that, you’ll need to pour the concoction into the keg, add some yeast and then let it carbonated for a week before you get your drink on. You’ll never have to test water temperature and risk scalding yourself again with the Greenwon Water Sensor. 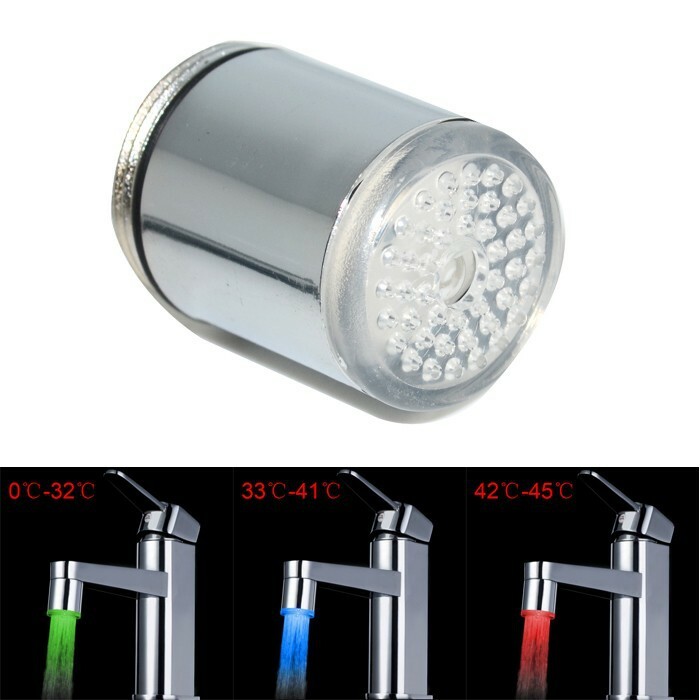 Attach the device to your faucet and it will illuminate your water in three different colors depending on the temperature: blue for cold, green for lukewarm, red for hot, and flashing red for DANGER! 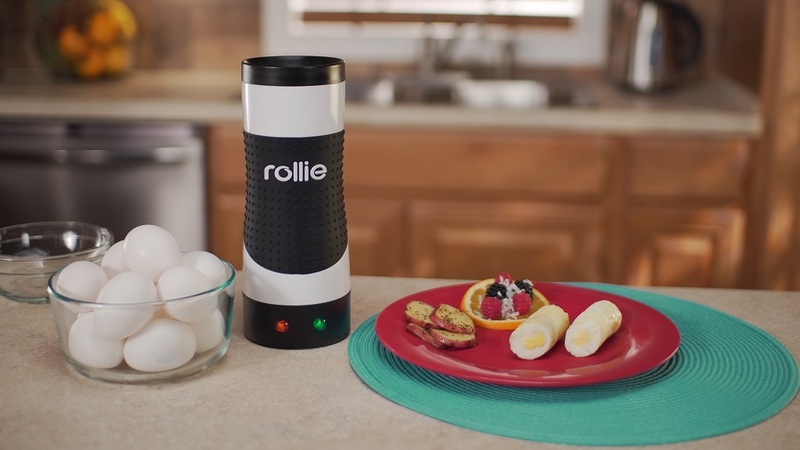 You’ll feel like a crime scene investigator waving this device around your kitchen. But instead of looking for evidence to solve a murder, you’ll be murdering millions of germs with the UV light. The futuristic sanitation tool will set you back $100. 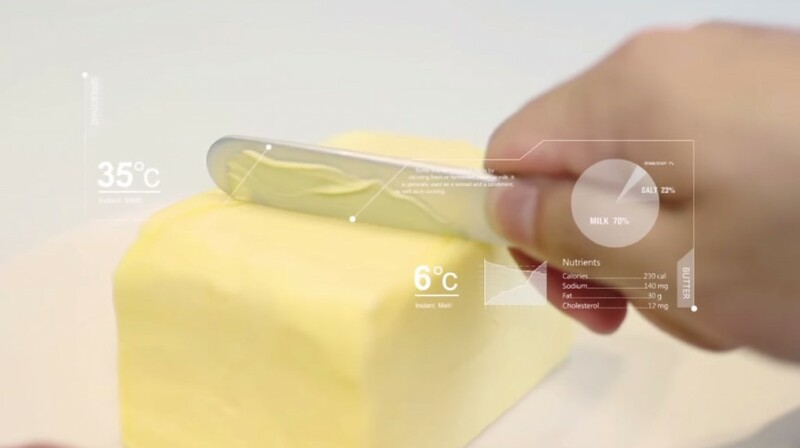 ‘Like a hot knife through butter’ is the idiom that obviously inspired the inventors of SpreadTHAT, a knife that harnesses your body heat so you can carve and spread cold butter right out of the fridge. The designers developed the device using a copper alloy tube which instantly transfers heat from the palm of your hand to the end of the blade — no heat-up period or batteries required. Garbage is gross, so who would want to handle the bin in which it is stored? 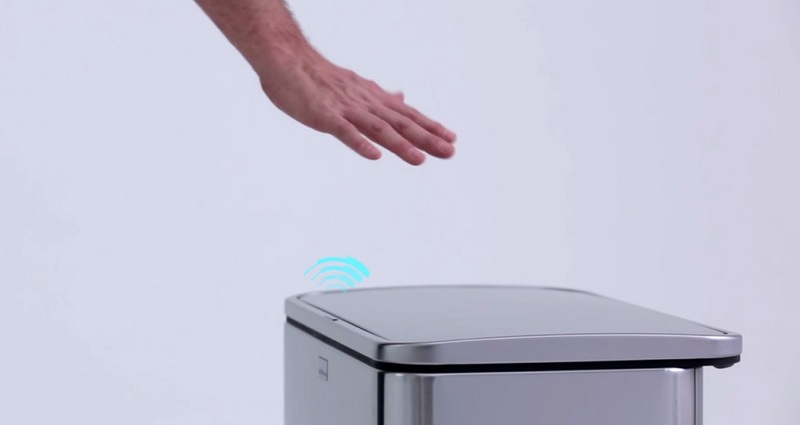 The SimpleHuman touch-less trash can opens automatically with just a wave of the hand. 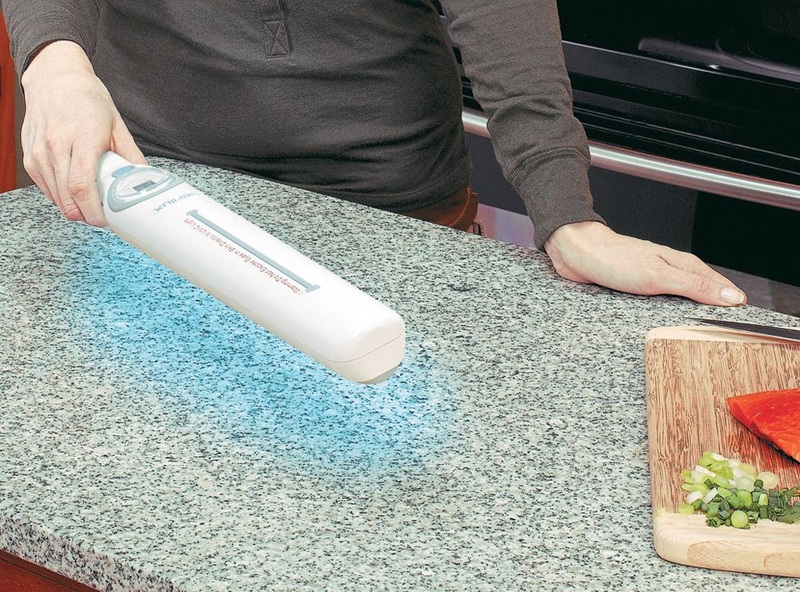 You’ll feel like a Jedi every time you clean your kitchen. Want to make cookies but don’t have enough sugar? Not to worry, The Drop scale automatically adjust your other ingredients so that the recipe tastes the same as it always does. 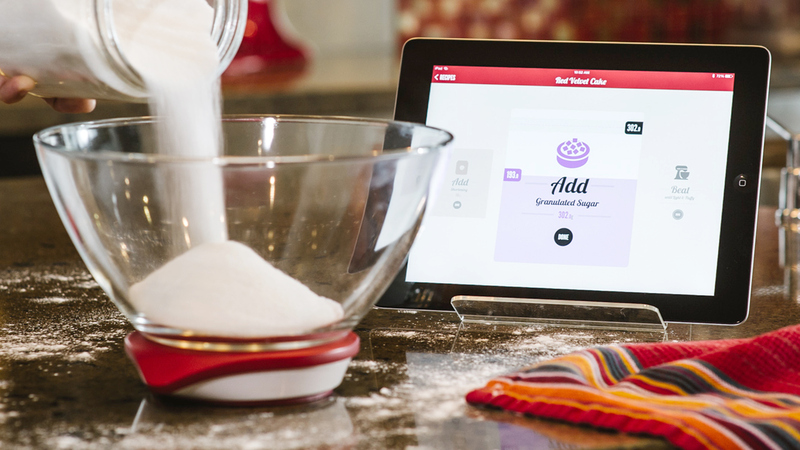 The device also offers clever workarounds if you’re totally missing an ingredient. Once you’re done baking, The Drop will access your social media accounts so you can upload pictures of your souffle to Instagram.